Working in confined spaces is one of the biggest safety hazards in the workplace. Each year in Canada, many workers are killed and injured while working in a wide variety of confined spaces. 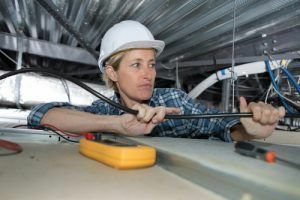 Often more hazardous than run-of-the-mill work spaces, confined spaces pose great risks and thus require an effective “Confined Space Hazard Assessment & Control Program” for every workplace. 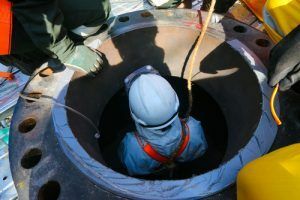 In this article we’ll explore several different types of confined spaces that are more commonly seen in workplaces, and we’ll address the risks involved. Knowing what these are and why they pose risks will enable you to plan and prevent to mitigate risk. When applying this definition especially in a broader sense, we can see that confined spaces are more common than many people assume. … and many more. Each one carries with it a degree and nature of risk, which means that employers must (1) be aware that it’s a confined space, (2) understand that there are inherent risks involved, and (3) have a plan (such as the aforementioned “Confined Space Hazard Assessment & Control Program”) to lower the risk involved and enable employees to be better aware of and trained for the risks these spaces pose. 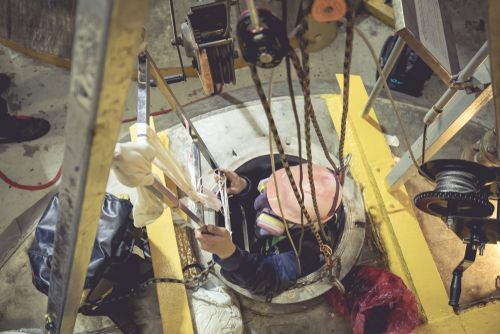 In order to reach an accurate assessment of the confined space(s) you’re dealing with in your particular workplace, it’s important to consider the major risks involved. Lack of oxygen is a huge risk factor in many workplace confined spaces. Fire or explosion are also major risks, depending on the space and materials involved. Toxicity of materials is another significant consideration. Drowning (be that in liquids or free-flowing solids) is yet another risk factor. Together, these are the four main risk factors of working in confined spaces. These are not mutually exclusive, of course, nor are they the only risks to consider. This is the foundation of an effective confined-space risk assessment & prevention plan. 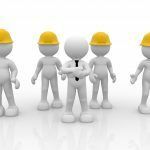 While a comprehensive program involves much more, of course, understanding the fundamentals is a great first step in lowering the risks of confined spaces in your workplace.